In your Colour & Specification, Custom Printed as Required. 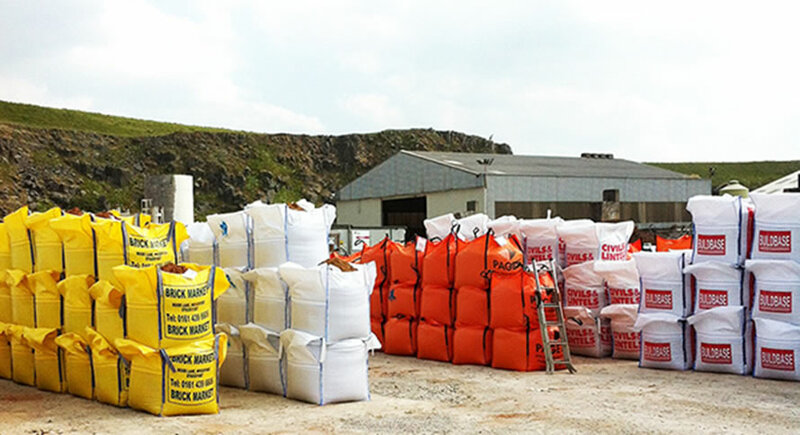 Builders Bulk Bags are the simplest form of Bulk Bags. They generally have a fully open top and flat base. Usually a single trip bag (safety factor 5:1), they have a safe working load of 1000kg and 4 x 30cm standard side corner lifting loops. 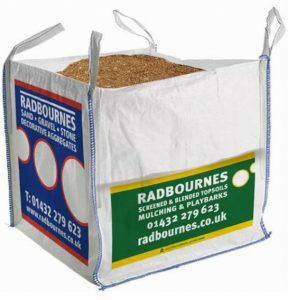 Builders Bulk Bags have many uses from the transport and storage of sand and minerals to bark, top soil, logs and even for garden waste and recycling. Why not put your brand or your own artwork on your bulk bags for cost effective advertising? Builders bags can be printed up to 3 colours on 4 sides of the bag. This is an ideal and cost-effective way to advertise your products, services and brand through kerb side advertising. Our own artwork design service, is available completely FREE (minimum runs may apply). Coloured fabrics can add brand value to your product. Yellow fabrics have been very popular in recent years however many colours of fabric are available, please ask us for more information. 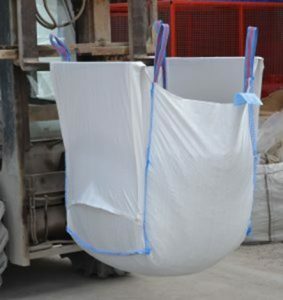 Tunnel lift or tunnel loop bags are designed to allow the tines from a fork lift truck to drive straight into the ears or tunnel loops situated on both sides of the bulk bag removing the need for a second operator to hold open the side seam loops. one operator can easily fill the bags by driving the forklift tines straight into the bulk bag ears removing the need for a second operator to hold the side seam lifting loops open. Our friendly knowledgeable team of dedicated account managers are available to discuss your individual requirement. We offer help and advice with custom artwork as well as stock management.